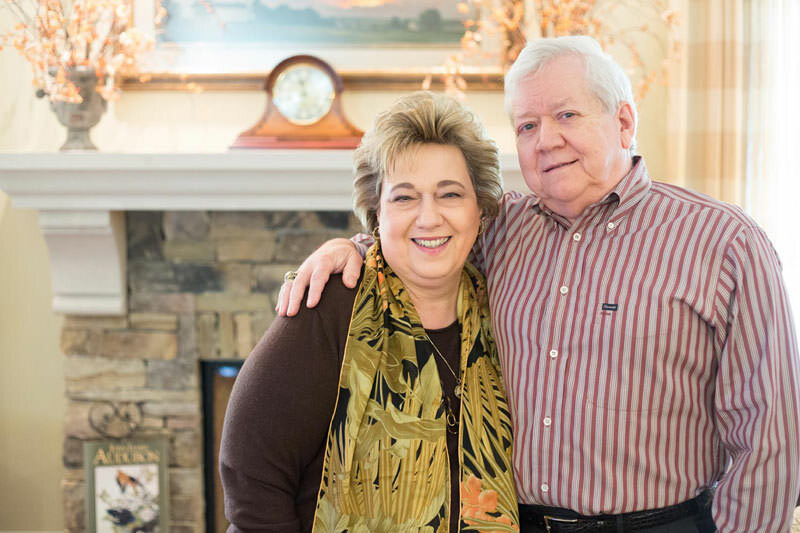 Having moved nine times within the United States, plus some international travel for both business and leisure, it was time for Lorena and Dan Piteleski to relax and retire back near their roots in Morgantown, West Virginia. After making the decision to move to West Virginia from the Piteleskis’ most recent home in Houston, Texas, Lorena began researching real estate agencies in Morgantown. Through some long-distance correspondence, she flew in and met with Kathy Martin at KLM Properties. “I was drawn to her professionalism and willingness to work with me,” explained Lorena. It didn’t take Lorena much deliberation before realizing Kathy would be a perfect fit to help her get her dream home. “I think she [Kathy] spent two entire days with me, showing me all of the different options for properties because I knew we wanted to build,” said Lorena about her visit. Kathy was extremely helpful to the couple even after Lorena returned to Houston. “I found this lot for sale on the Internet, and Kathy was kind enough to videotape it for us so that we could see the entire property. Kathy handled the negotiations with the seller and we bought it without having to make another trip to West Virginia,” explained Lorena. Dan and Lorena were pleased that Kathy’s video showed that the lot was spacious and mostly flat—something you don’t see very often in West Virginia. After selling their home in Houston, the Piteleskis once again turned to Kathy who found a home in Greystone for them to live in while they were building their new home. Kathy referred us to the builder we contracted with, and we couldn't be more thrilled with the results.